The Ready Set is the solo project of 19 year old Jordan Witzigreuter, started November 17th, 2007. His interest in music formed when he began playing drums are the age of 10. By the age of 14 he was playing in bands, and by the age of 16 he was touring in them. He later found a different outlet for his creativity through writing lyrics and music in an acoustic duo, which eventually led to the formation of The Ready Set. During the summer of ‘07, Jordan wrote a few songs and kept them to himself, as his main focus was the acoustic duo he was a part of. When the other member left to pursue a different career, Jordan decided to take the songs he had started, finish them up, and put together a Myspace page just for fun. In January of 2008, he released his first EP “Syntax and Bright Lights”, which was completely written and recorded in his basement. He soon after began writing for his second release, a full-length titled “Tantrum Castle”, also recorded in his basement. Shortly after his high school graduation, he began touring in other bands, which made it clear to him where his heart was: The Ready Set. 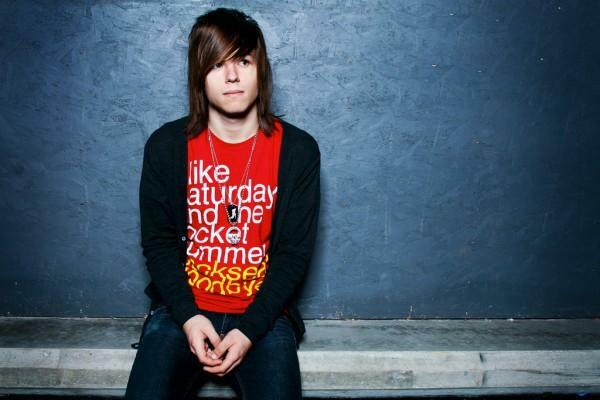 In July of 2008 he released “Tantrum Castle” and began touring full-time as The Ready Set. His live performances have evolved greatly since his early days, changing from a two-man show with keys, vocals, and a computer, to a complete full-band show with bass, drums, and lights. Throughout multiple self-booked tours, The Ready Set has continued to prove itself as a show worth seeing as well as hearing with it's abundant energy and emphasis on showmanship. The Ready Set will be touring nationally throughout the majority of 2009, and Jordan will be hitting the studio in March to record new material. Q: Do you Like/Write Weird Music? A: Yeah, I like some "weird" stuff. I don't think most of my music is too weird though, haha. Q: When and where did your experience in music start? A: I was 11 years old and I started playing drums. I played in bands from the age of 13 on, mostly drums. I started The Ready Set in November of 2007; it was the second project I ever sang for/wrote for. One thing led to another.. haha. Q: What are you currently working on and what are your plans for the rest of the year? A: I have March off to finish a new record. I head to Atlanta, GA on the 17th to record with a couple of very awesome producers [Zack Odom and Kenneth Mount]. After that, I'll be touring constantly throughout 2009. Q: What do you consider your greatest inspirational sources in music? A: A band called copeland, lots of hip hop, and pop music. Q: What are your favorite readings? A: I dont read enough.. haha. Q: In your opinion, what role does the third sector, public and non-profit entities; have for music on the Internet? A: I'm not too well-versed on all that -- I just write the music.